It is being rumored that Ezra Miller is done with The Flash and that Warner Bros. will be looking to recast the role. The rumor follows it having been reported that Miller and DC Comics comic book writer Grant Morrison had turned in their own version of The Flash script, which was a last ditch effort to keep the actor on board. At the time, it was said that if WB wasn't going to go with the Miller and Morrison script, that Miller would be out, so if the rumor is true, apparently WB didn't want to go with their script. 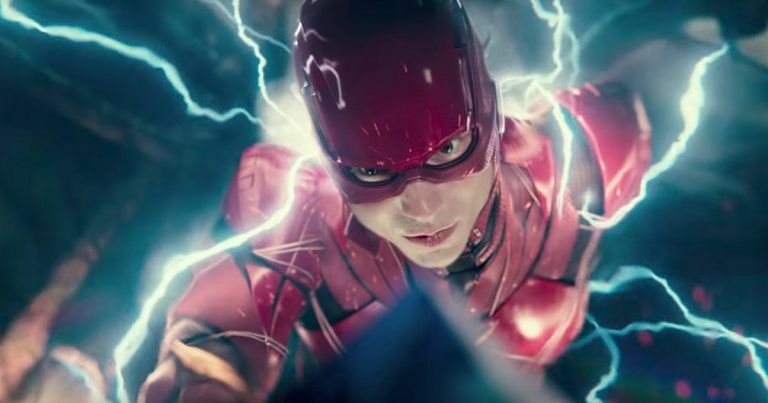 According to reports, Ezra Miller wanted to keep The Flash darker, but WB wanted to go in a more fun and lighthearted direction similar to the Robert Zemeckis Back to the Future movies. We can probably assume that following the big success of Wonder Woman and Aquaman, and what looks to be Shazam!, that WB wants the more fun route because of the success of those three flicks compared to the so-so reception of the Zack Snyder movies. Snyder recently offered that he was going to do a "better" approach than Flashpoint, which is a really dark story in the comics, so apparently, WB has scrapped the idea of a dark Flash movie completely. A DC producer did recently confirm there is still room for dark DC movies, with mention of Batman and Joker, but he did say it depends on the character. Interestingly enough, The Flash movie directors recently signed on for a new movie, so it is guessed The Flash won't be filming anytime soon. In addition, Miller has two movies in the works, so if anything, the DC speedster wouldn't see production start until next year, which would also give them a lot of time to cast a new actor. Regarding the recasting of Ezra Miller, obviously, there are numerous possibilities of how it could be done. There was actually a rumor a while back that WB is going to use Wonder Woman 1984 to do a soft "Flashpoint" reboot to the DCEU that involves Wonder Woman not wanting to lose Steve Trevor for a second time. Perhaps Wonder Woman alters the timeline which sees new actors cast in roles for The Flash, maybe the Ben Affleck Batman, and even possibly the Henry Cavill Superman. Ezra Miller first appeared as The Flash in Batman vs. Superman followed by a cameo in Suicide Squad and then in Justice League. Zack Snyder also recently revealed he had big plans for The Flash in his version of Justice League.